The head elevation of this elongated box is splayed and turned to the road, a movement strengthened by the triangular window turning the corner and the serrated roof edge. 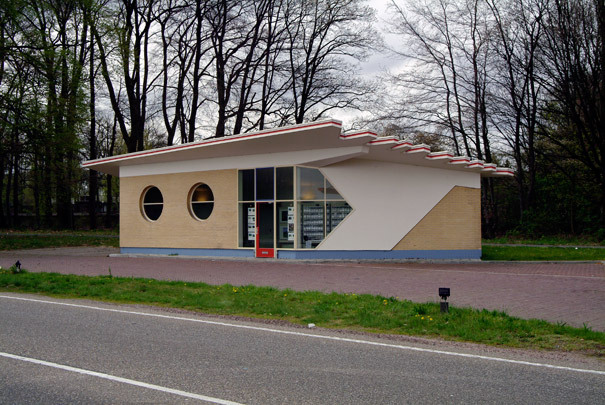 The spatial composition thus created forms a dynamic exception to the string of unimaginative petrol stations disfiguring the Dutch roads. On the toothed roof edge once stood the brand name 'Purfina'. A small extension to the rear was added during restoration work.